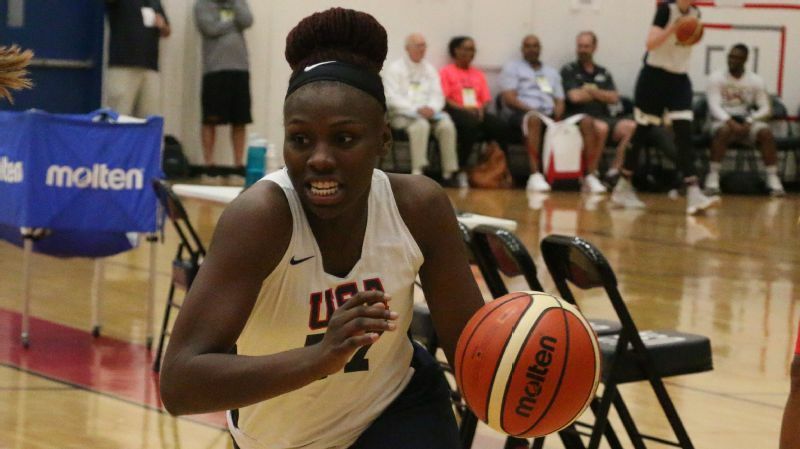 Wearing red, white and blue over the summer in Mexico City, Aijha Blackwell struck gold. Aijha Blackwell, a 6-foot guard at Whitfield (St. Louis) School and the No. 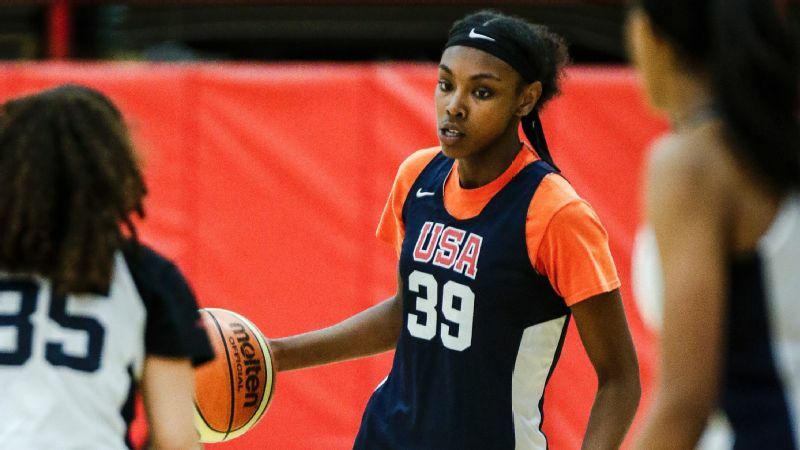 8 prospect in the espnW HoopGurlz Top 100, has announced her commitment to play basketball at Missouri. Blackwell -- whose father, Ernest Blackwell, played football for the Tigers and died in 2004 -- had also considered Louisville and Kansas. "I wanted to keep the legacy going," she said. "My dad was a running back there for the football team, and I wanted to fill his shoes. I guess I've had black and gold in my blood. I was born with it." 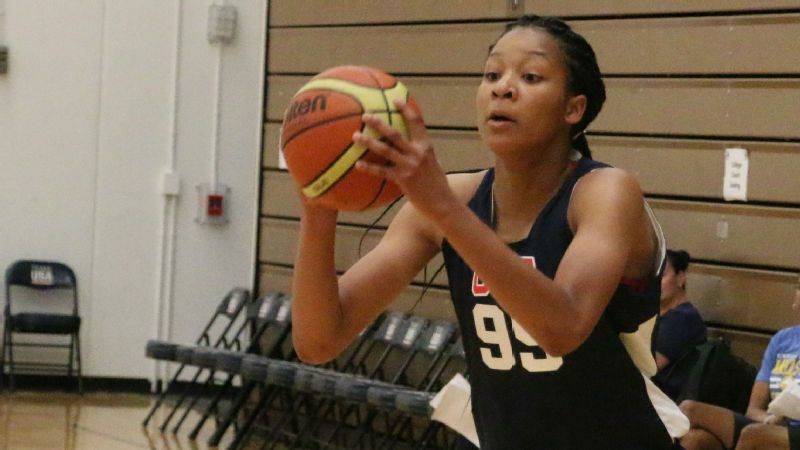 Speaking of gold, Blackwell spent part of her summer with the USA under-18 national team. 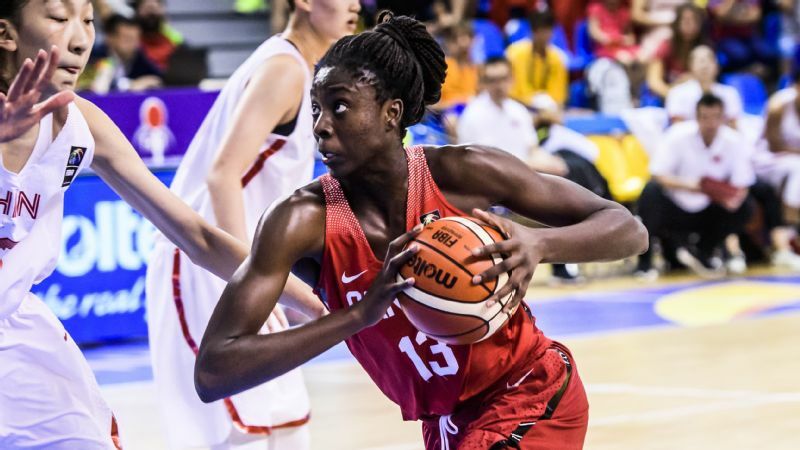 She started in four of the six games at the FIBA Americas U18 Championship in Mexico City and averaged 9.3 points, 3.7 rebounds and 2.7 assists to help the U.S. go 6-0 and claim the gold medal. Last season as a junior at Whitfield, Blackwell averaged 24.2 points, 8.3 rebounds, 2.8 assists and 2.0 steals. Her team fell in the state semifinals to a rival Strafford team featuring Hayley Frank, who also has committed to Missouri. In that matchup, Blackwell had 25 points and 13 rebounds while Frank had 32 points and 10 rebounds. "She's an amazing player," Blackwell has said of Frank. "I love how she gets hyped. It's very similar to me." In addition to Blackwell and Frank, Tigers coach Robin Pingeton also has a commitment from Micah Linthacum, a 6-foot-3 post player from Jefferson City (Missouri). The early signing period for the 2019 class opens Nov. 14. Half of the top 10 prospects in the 2019 class -- No. 1 Haley Jones, No. 3 Aliyah Boston, No. 7 Zia Cooke, No. 9 Rickea Jackson and No. 10 Laeticia Amihere -- are still undeclared. 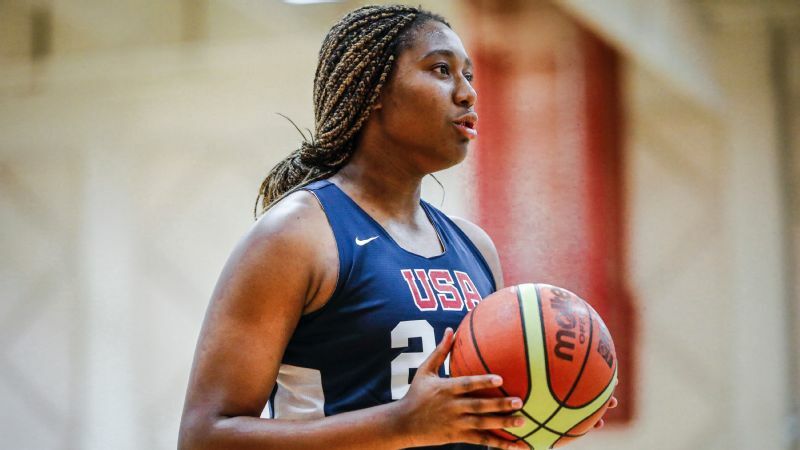 Blackwell has skyrocketed up the recruiting rankings as she's polished her offensive game. Always a nightmare on defense with her quick reflexes and athleticism, Blackwell has become an offensive force and an excellent passer.